I tried it at one of the christmas dinners we attended this year. I loved it so much that I tried to make it myself. It is a Czech cake with a Russian name and of course, now, I made it Filipino. 1. Whip the whipping cream. 3. Layer broas in a baking pan. 4. Put a layer of cream mixture on top of the broas layer. 5.Continue until layering the broas and cream until pan is filled ending with a cream layer. 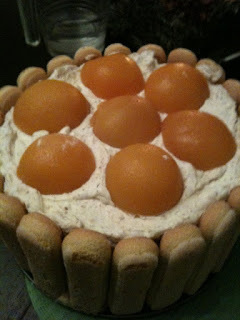 I made the cake pictured above with a pan that you can detach the sides from the bottom. 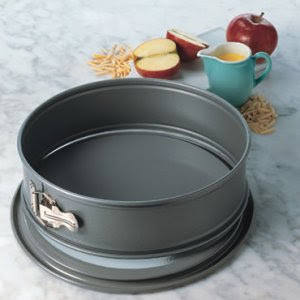 I think it is called a spring form baking pan. I did what I described above then just slid the sides of the pan out from the cake. Isn't this the perfect solution if you don't know how to bake and the stores ran out of graham crackers (Like it always does in the Philippines during Christmas)?